There are many significant holidays that are marked in the church calendar, and each faith has its own. For Christians around the world, Christmas is the most revered of the holy holidays, for which they have long been prepared and grandly celebrated. On this day, people remember the birth of the Son of God in human form, they thank for the renewal of all things on the planet and, of course, gather at the table that is noisy and rich in delicious dishes. To celebrate Christmas in 2019, we will, as before, during the long New Year holidays - on the night of 6-7 January. And you already know how to celebrate this holiday and what church Orthodox canons to follow? 1 What does Christmas mean? The weight of the holiday for each person varies significantly. This is due, primarily, to the attitude towards religion in general. For example, in Russia over the past couple of decades, the veneration of the traditions of Orthodox Christianity has become popular - every year, not only old people, but also young people, who bring their children to communion, also attend festive prayers in churches. But, unfortunately, only 20% of the total number are aware of the true meaning of this or that holiday. 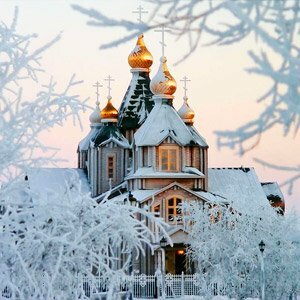 Orthodox Christmas is a special date in the calendar, and the reason for this is not only that this holiday is identified with the birth of Jesus. It denotes something more - reconciliation between the Lord and people, the beginning of a new era for all of humanity. And according to Orthodox canons, the celebration of Christmas lies not in the physical, but in the spiritual aspect - the cleansing of the soul, repentance of sins and the observance of fasting. If the question “What date should I celebrate Christmas?” Is all very clear, then for many the question of traditions and rules will remain unsolved. So, before the celebration of Christmas, Orthodox Christians observe Christmas fast. 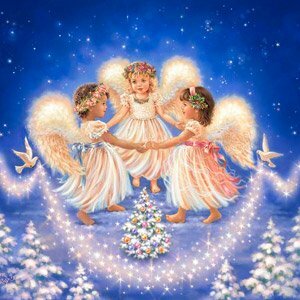 This ceremony lasts 40 days and ends on January 6, when Christmas Eve comes (Holy evening, Vechemeriya). According to church rules, this day is the strictest of all the fasting, since it is allowed to eat only with the appearance of the first (Bethlehem) star in the sky. This evening the table is covered with special dishes (there should be 12 of them), the main of which is considered to be sochivo or kutyu (decoction of rice, barley or wheat, seasoned with honey, poppy seeds, raisins, dried apricots and fresh fruits). The church does not have a single opinion on the exact time of the birth of Jesus Christ. As a rule, the Orthodox together with their relatives and friends sit at the festive table immediately after coming from the church (the festive service lasts from 22.00 until noon). Before dinner, it is customary to delight each other with surprises and gifts - these may be church books, postcards of saints, baskets of sweets, figurines in the shape of angels, or inscribed icons. Since Christmas is the first day of Christmas, it was celebrated in the people fun and noisy - with songs, fun games, mummers guests and dancing. One of the traditions was to go from house to house and sing to the masters of carols. It was believed that the more guests visited the house, the more often the well-being and happiness would “knock” at its door, and adversity and sorrow would be avoided by its inhabitants. Every ryazhenny guest must have been given some kind of gift - sweets and treats, neatly wrapped in a handkerchief. Today, this tradition is also preserved. Today it is customary to go to visit the godparents and bring them kutia, for which the godparents thank with gifts and sweets. If a man enters the house on Christmas morning, one should wear monophonic clothing, if a woman is colored. This is done in order. To attract wealth and well-being to the house. If on the night of Christmas 77 times to ask God for something necessary - the desired accomplishment. If a drunk man enters the house in the morning, there will be fuss and noise all the year round at home. The first will enter a man - to well-being; woman to gossip and failure; old man (old woman) - to longevity. If on the threshold several people appear at the same time - towards wealth in life. We never loaned those things on Christmas Eve or Christmas. Which are associated with fire, such as matches, firewood or coal, etc. - to the early misfortune. Also, it is impossible to lend money or food on a holiday - it was considered. That thus the owners give out their luck. If there is no family happiness and frets between a husband and wife in the house, then on Holy Day a full bucket of water was placed in the cold. In the morning, the frozen bucket was brought into the house and put on the stove (fire). The following was said: “The ice will melt, the water will boil, and the (such-and-such) will make my soul sick.” After the water has melted, the wife gave her husband to wash with this water, make tea for her husband or wash her favorite linen. The wish made in the Holy evening to a star flying in the sky will surely come true. Celebrate the bright holiday of Christmas can be different, the main thing - it is to follow the rules, adhere to the traditions and not lose sight of the signs. And then joy will surely visit your home, happiness will knock and luck will come.